Posted on Thursday, April 25th, 2013 at 8:01 am. So what exactly is active listening and how can you use it to improve communication across your organisation? If you are considering training in active listening, consider using Active Listening Training Course offered by pdtraining in Auckland, Christchurch, Hamilton and other cities in New Zealand. Do they engage in other activities while you’re trying to have a conversation with them? Maybe playing video games or watching TV or texting on their phones and nodding away while you articulate the meaning of life? It’s the exact same issue in the workplace where you have lots of busy people trying to multi-task as much as possible which often get’s in the way of having a productive two-way conversation. Mobile phones, tablets, laptops, stock tickers, sports updates and a myriad of other devices and interests keep us focused on everything BUT what we’re talking about right now. Active listening means exactly what is says – stopping everything else except for what you are hearing and processing as part of that communication. 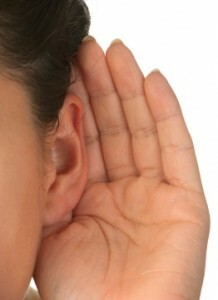 Do you know if someone is listening to you? How? Eye Contact – When we put down our phone, turn away from our monitor or take out our earplugs and make direct eye contact with the person speaking to us, we are physically showing that we are now engaged with them and not detracted by other inputs. Head Movements – When you see someone shaking their head in disapproval or nodding in approval we know that we are communicating in a two-way discussion. And when you nod or shake your head while having a conversation you’re sending a powerful signal that you’re engaged and listening actively. Restate Key Points – By clarifying key points throughout the conversation, you’re taking an active role in the communication process and making sure to clarify any key points that you may not have correctly understood when they were first articulated to you. Ask Relative Questions – When you take the time to think through the key points being communicated to you, then you’re showing not only active listening skills but proactive communications skills where you not only understand what’s being said, but you are now thinking through the process and bringing up potential outcomes or issues which might face you as a team in the future. Suggest Different Opinions – This has the same effect as asking relative questions. By bringing up various other topics or a different way of interpreting the information being presented, you’re also indicating that you’ve not only actively listened to the conversation but are now adding to it. All public Active Listening Training courses include am/pm tea, lunch, printed courseware and a certificate of completion. Customised courses are available upon request so please contact pdtraining on 1300 121 400 to learn more.